Mobile users are not patient! More than 71% of mobile users delete emails immediately that don’t render well on a mobile device, 74% will only wait 5 seconds for a web page to load on their mobile device before abandoning the site—and nearly half won’t return. Not only is mobile responsiveness important for your customers’ experience, it is important for Google search rankings as well. Google favors sites that are mobile-friendly and fast. In fact, they are backing the Accelerated Mobile Pages (AMP) project to help websites become optimized across all devices. 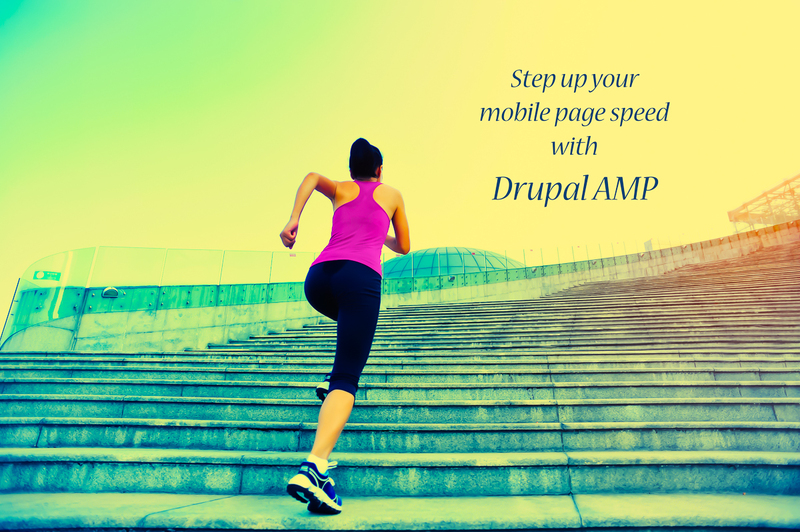 Drupal’s AMP module delivers pages that comply with the AMP standard and drastically improves the performance of mobile content. The Accelerated Mobile Pages (AMP) project is an open source initiative that allows content to be optimized for mobile once and loaded instantly everywhere. AMP is a way to build web pages for static content that render quickly for mobile devices. It includes HTML standards, custom tags, and cache for building rich content with reliable performance and fast page loading speed. AMP Theme which produces the specific markup that the AMP HTML standard requires. It works just like any other Drupal theme with flexibility and customization on page displays and can place AMP ad blocks. AMP PHP Library which analyzes the HTML entered by users and makes corrections, where possible, to make it compliant with AMP HTML. It automatically converts images, iframes, Tweets, Instagram, and YouTube HTML into their AMP HTML equivalents. So why should a marketer care about Drupal AMP? AMP web pages are fast. Using AMP HTML makes the web fast with smart caching, predictable performance, and modern, beautiful mobile content. When Pinterest tested publisher AMP pages in their iOS and Android apps, they found that AMP pages loaded four times faster and used eight times less data than traditional mobile-optimized pages. Because it increases page loading speed, it is likely to provide a ranking boost. While AMP isn’t the only way to improve page speed, it is one way that Google recognizes and supports. Google favors AMP pages. Google began integrating AMP pages into its search engine in February. For mobile results, Google is holding the News carousel (with AMP content) above-the-fold—which means organic search results are pushed down, resulting in fewer clicks, impressions, and click-through-rate, which, in return, affects SEO rankings. AMP pages will help improve SEO. Google has made it clear that mobile-responsiveness and page speed are important for high search engine rankings. Some speculate that AMP pages will automatically get a “fast” label designation. In the future, AMP may even become a ranking signal. If you have news-type content or blogs, you can expect to see better rankings when you use the Drupal AMP module. The Drupal AMP module is an important addition if you are looking to improve your Drupal SEO efforts. If you would like to be sure your website is following all of the latest practices for high Google rankings, check out our Drupal SEO services and give us a call at (512) 989-2945.